Manama : Bahrain strongly condemned the terrorist bombing Kabul, Afghanistan. 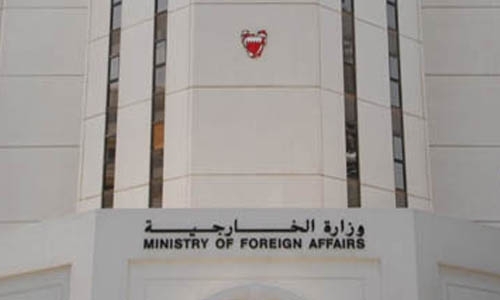 The Foreign Ministry extended sincere condolences to the families of the victims, wishing speedy recovery to all those injured as a result of this terrorist act. It affirmed Bahrain’s support to the Islamic Republic of Afghanistan in its actions to counter terrorism and to establish security and stability throughout Afghanistan. In a statement yesterday, it reiterated the Kingdom’s rejection of terrorism in all its forms and manifestations regardless of its motives and justifications, urging international concerted efforts to eradicate this dangerous scourge that threatens world peace and security.